January 31, 2019 / Modified jan 31, 2019 3:16 p.m.
Revenue hit $415 million in 2018, marking the 6th consecutive year of revenue growth in Tucson. 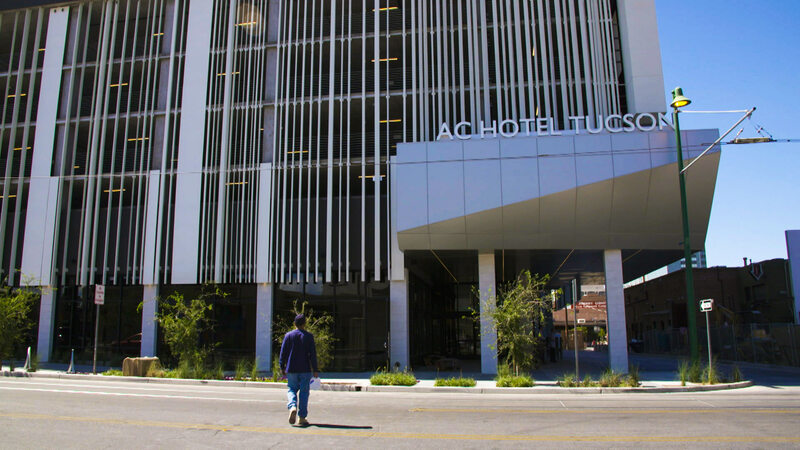 The exterior of the AC Marriott Hotel in downtown Tucson. Tucson's hotel industry had a good year in 2018. Visit Tucson, a group that promotes local tourism, says area hotels saw their revenue grow to nearly $415 million. The group's communications director, Dan Gibson, says the year ended on a high note, with revenue from the Arizona Bowl football game up from the year before. "The main marker was up about 5 percent, so the having more people stay in rooms and paying more for those rooms gave us the strong finish to the year," Gibson said. Gibson says 2018 marked the sixth year in a row that hotel revenue grew in Tucson, after dropping during the Recession. He says hotel occupancy was up by about 3 percent, and the rates hotels charged were also up, by more than 4 percent.